Hashtags are an amazing tool when used right. On platforms like Instagram and Twitter, hashtags help people find your profile and posts. Hashtags can even be used to help you find your customers’ posts about you and add to your captions/tweets. But using them can seem intimidating so today I’m going to take you through the basics of finding and using hashtags. You’ll notice I’ve left Facebook and Pinterest out of my opening paragraph. That’s because hashtag use is far less important on these platforms and can actually reduce interest in your posts. Pinterest discourages use of hashtags; instead, it’s advised that you use keywords in your photo caption, as the keywords can be searched. On Facebook, the best-case scenario is that the hashtag won’t reduce your post’s reach or engagement but you’re always safer avoiding their use unless it’s a branded hashtag for a multi-platform promotion (ex. “Don’t miss out on our semi-annual clear out sale #ShirtHutsSpringClearOut”). Using hashtags properly means knowing when not to use them. For platforms that aren’t hashtag-friendly stick to a great concise caption. These spaces keep the hashtags from crowding the caption and means you don’t have to pack the comments section with a hashtag post. If someone wants to see the hashtags they can click the “see more” button under your caption (Instagram inserts this automatically). On Twitter, hashtag usage should be kept to a minimum of 0 to 3 per tweet. That’s right, sometimes no hashtags at all are needed, but that’s reserved for accounts with large, engaged audiences. Hashtags are also best left to the end of the tweet rather then the beginning or throughout, this allows your audience to skip the hashtags if they’d like and avoid the issue of tags uglying up your tweets. The only tag that should sit at the front of a tweet is when tagging a person to whom you are tweeting. A claimed of branded hashtag is simply a hashtag that’s use is associated with a certain brand or campaign. There isn’t an actual way to claim a hashtag instead you choose a tag that isn’t in use currently and use it on your posts and encourage customers/followers to do the same. Claimed hashtags are often a part of social media promotions. Interesting examples of this include the TV show @Midnight who regularly share a funny hashtag during their show (ex “#RuinAKidsMovie” ) where after the show ends it’s fans tweet their funny answers ( ex. “Insides out #RuinAKidsMovie”) and the best is called out on the next episode of the show. They create funny hashtags that aren’t being used and so when they search that hashtag all the posts relate to them and their brand. To create your own hashtag have a brainstorming session of possible great hashtags and then search your chosen channels to see if your hashtags are already being used. So now you know where and when to use tags, but what tags should you use? The easiest way to figure out which tags are right for you is to check out accounts you admire (they may be competitors or similar businesses in other regions) and check out the tags they use, then click the tags to see how they are used by others on the platform. Then, try them out and soon you’ll notice which tags work well for your content. This is also a great way to learn what your target audience is looking for. 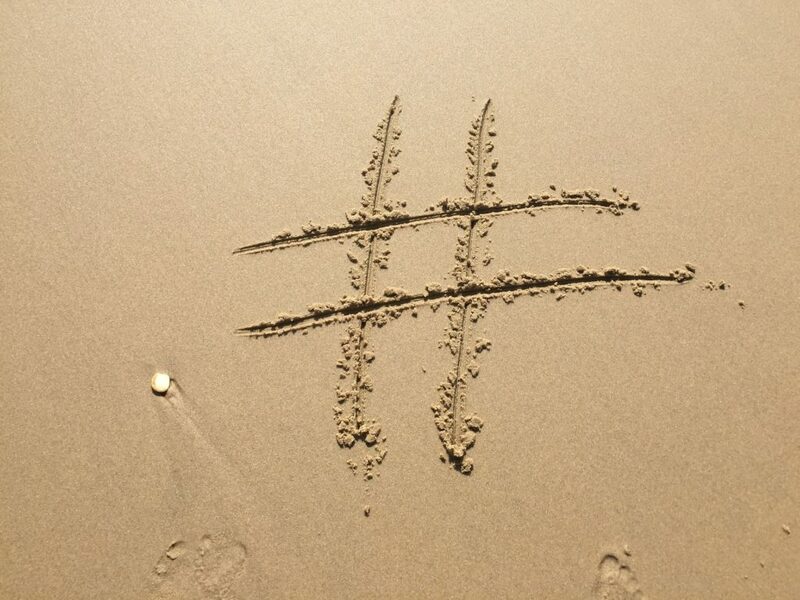 Because hashtags and their popularity are always changing, be sure to make checking out hashtags a weekly activity if not daily – just a few minutes a day can really improve your hashtag game. Make sure to include popular tags instead of sticking to unique tags that only you are using. Although unique and branded hashtags are a great marketing tool it’s unlikely anyone will be searching for them, especially if you’re a small account or business. If using unique hashtags, they should be the first tags used (they can even be included in your Instagram caption) and then follow with some more popular related tags so the post and your unique tags get good reach and your unique tags can catch on. Great useful information. I will be using the space between the caption and hashtags for sure. Thanks the the tips. Thanks for the great advice. I didn’t realize we should be checking hashtag trends daily, thanks for the advice!